Laser Scanner Software (PC-DMIS Reshaper) - CMM Inc. When no CAD or part drawing exists, using 3D scanning technology enables you to quickly and easily gather 3D data. The question of what to do with all those scanned points, which in some cases can number in the hundreds of millions, is the real challenge. PC-DMIS Reshaper offers a standalone solution that has multiple applications, including reverse engineering, part inspection, CAD/CAM, rapid prototyping, and more. Collecting points in PC-DMIS Reshaper, through the TCP/IP interface, using an arm mounted laser scanner such as the ROMER Absolute Arm with CMS108 is as easy as passing the scanner from various angles over the part, gathering thousands of points per second. The points, in the form of a 3D point cloud, appear on the screen of the software as you scan, allowing you to see where you have and have not scanned. The resulting point cloud within PC-DMIS Reshaper can be cleaned of extraneous points, and combined with other scanned or imported point clouds in preparation for meshing. There is no size limitation to the number of points in your point cloud; important with the larger and larger data sets being used today. Meshing in PC-DMIS Reshaper is incredibly fast. The key lies in the innovative triangulation algorithms developed by the PC-DMIS Reshaper team, which enable a more accurate triangulation process to be performed with fewer points…thus speeding up the entire process of meshing, which is often accomplished in mere seconds. Further manipulate or refine it with hole filling, smoothing, or deformation tools. 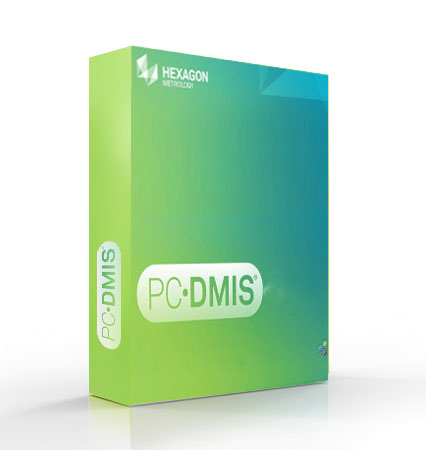 PC-DMIS Reshaper is a stand-alone package separate from the PC-DMIS application. It is licensed separately and can be used separately with a measuring arm, or as a standalone point cloud processing program.